Traveling to Florida? This can be the right spot on the internet to find places to swim in Florida. Each day you're not swimming you will be losing precious time to improve your abilities a be a greater swimmer! No additional excuses!. Looking for Indoor Pools in Florida? A lot of of them belong to gyms or sport centers which also present lessons. Please check the nearest Swimming Pools or Contact us to ADD IT. It's free of charge! There are typically discounts available to senior citizen and tiny children. Find out by contacting your nearest pool in Florida. These are the Indoor Pools in Florida other users have reported. Are you a local and your pool isn't listed? Contact us to ADD IT. It's free! Holding an estimated population of 821.784, Jacksonville is among the most important cities in Florida. Check all the Swimming Pool in Jacksonville and its surrounding area. Let us tell you a secret to switch off when you happen to be in Saint Petersburg: just choose a Pool in Saint Petersburg and plunge into the water! There's no even more successful method. Without a shadow of a doubt, swimming in Miami may be the most beneficial way to unwind right after work. Take a couple of minutes to browse Swimia's catalog to find a Swimming Pool in Miami. Swimming is really a exceptional idea to keep your body active in the course of your visit to Hialeah (Florida), or even for anybody who is a local. Swimia helps you to find your closest Swimming Pool in Hialeah. It's difficult to visit Florida without dropping by Orlando (with 238.300 residents). 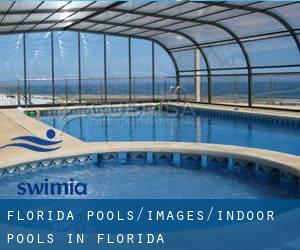 Currently Swimia is showing you all of the Pool in Orlando and also the closest pools located in its vicinity. Updated on 2019 2650 Waldemere St. , Sarasota , FL , USA (Postal Code: 34239). Few days ago a standard user of this center told us they offer Olympic size x 25 yards, 8 x 20 lanes, Indoor/Outdoor. Furthermore, they keep in good conditions 25 yards instructional pool, Outdoors. For this Swimming Pool, only phone number is number here. Updated on 2019 10423 Centurion Parkway North , Jacksonville , FL , USA (Postal Code: 32256). Among all the activities offered by the center, for anybody who is considering swimming you will appreciate 25 yards, 5 lanes, Indoors. Just in case you desire to contact this Swimming Pool before dropping by, we only know the phone number. Updated on 2019 400 N. Palafox St. , Pensacola , FL , USA (Postal Code: 32501). This sports center gives 20 yards, 4 lanes, Indoors. For this Swimming Pool, only phone number is number here. Updated on 2019 611 Sheridan Road , Melbourne , FL , USA (Postal Code: 32901). Swimmers like you reported 25 yards, 3 lanes, Indoors. Unfortunately we do not have the email address of this Pool, but we can give you the phone number. Updated on 2019 1100 S.W. 1st Ave. , Ocala , FL , USA (Postal Code: 32678). Among all the activities supplied by the center, should you be interested in swimming you are going to appreciate 25 yards, Indoors. Just in case you would like to contact this Pool before dropping by, we only know the phone number. Updated on 2019 1805 Hotel Plaza Boulevard , Lake Buena Vista , FL , USA (Postal Code: 32830). This sports center gives 25 yards x 20 feet, Indoors. For this Swimming Pool, only phone number is number here. Updated on 2019 8701 Maitland Summit Boulevard , Orlando , FL , USA (Postal Code: 32810). This sports center offers 25 meters x 39.5 feet, 5 lanes, Indoors. Contact data for this Swimming Pool including phone number and email address are number. Updated on 2019 4820 Newberry Road , Gainesville , FL , USA (Postal Code: 32607). Swimmers like you reported 25 yards, 5 lanes, Indoors. Phone number and email address are number for this Swimming Pool. Updated on 2019 Building 614 , Jacksonville Naval Air Station , Jacksonville , FL , USA (Postal Code: 32215). This sports center gives Olympic size x 25 yards, 3.5 feet - 12 feet depth, Indoors. For this Pool, only phone number is number here. Updated on 2019 Two pools at two separate locations within the community , Seaside , FL , USA (Postal Code: 32459). Few days ago a normal user of this center told us they offer 25 yards, 4 lanes, Outdoors. Furthermore, they keep in good conditions 20 yards, 3 lanes, Indoor/Outdoor. For this Swimming Pool, only phone number is number here. Updated on 2019 18900 N.E. 25th Ave. , Aventura , FL , USA (Postal Code: 33180). Swimmers like you have reported 25 yards, 6 lanes, Indoors. Also, you will find 25 yards, 6 lanes, Outdoors. Just in case you want to make contact with this Pool before dropping by, we only know the phone number. Updated on 2019 1075 S. Euclid Ave. , Sarasota , FL , USA (Postal Code: 34237). Swimmers like you reported 25 yards, 4 lanes, Indoors. Unfortunately we do not have the email address of this Pool, but we can give you the phone number. Updated on 2019 Amelia Island Plantation , Fernandina Beach , Amelia Island, FL , USA (Postal Code: 32034). Swimmers like you reported 20 yards, 5 lanes, Indoors. Unfortunately we do not have the e-mail address of this Pool, but we can give you the phone number. Updated on 2019 3200 1st Ave. South , Saint Petersburg , FL , USA (Postal Code: 33712). Swimmers like you reported 25 yards, 6 lanes, Indoors. Phone number and email address are number for this Swimming Pool. Updated on 2019 1000 College Blvd. , Pensacola , FL , USA (Postal Code: 32503). Swimmers like you reported 25 yards x 30 feet, 6 lanes, Indoors. Unfortunately we do not have the email address of this Swimming Pool, but we can provide you with the phone number.